A technical, ultralight layering essential for fast-and-light alpine objectives, the Second Light Windshell cuts wind, resists light precip and stuffs into its side stash pocket. An ultralight stretch hoodie inspired by and designed for the exposed, blustery alpine ridges of the Tetons and beyond, the Second Light Windshell is the light-and-fast outer layer of choice for climbers, alpinists and mountaineers. Made with lightweight Meridian™ stretch mini-ripstop fabric with a highly weather-resistant PU coating, the Second Light blocks wind, sheds moisture and stashes in its zippered chest pocket for compact storage, making it the perfect emergency layer to stash in your pack. The low-profile hood features a reinforced brim, and the cord-lock adjustable hem seals out chilly gusts while you’re charging for the summit. A packable, ultralight wind layer for fast-and-light alpine objectives. 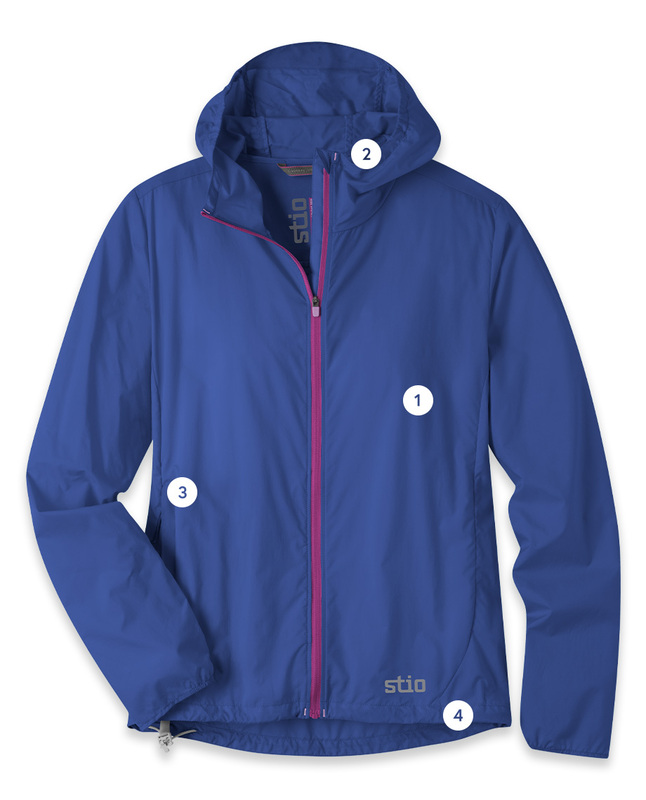 "A Wellness Getaway Essential: A packs-to-nothing windbreaker (Stio makes a great one)."